As part of the larger NextCare Urgent Care, this clinic has affiliates with the closest other clinic being in Glendale about 3.5 miles away and is open today from 8:00am to 8:00pm. Recognized favorably amongst their patients, NextCare Urgent Care, Phoenix (19th Avenue) has an average rating of 4.7 stars out of 5 based on 688 total ratings. In fact, recent patients have frequently used words such as "timeliness" to describe their experience at the clinic. Certainly not terms you hear about healthcare providers too frequently! Provider Daniel Deusterman was a great listener & care provider. He was patient & answered all of our questions. He didn't rush & was timely. He was also encouraging in that he told me I had been doing all the right things. As a mother that was very comforting. Excellent care. Not too long a wait. Very competent staff. First visit to this Nextcare with numerous symptoms. Was tested for and diagnosed with Strep throat in a timely manner. 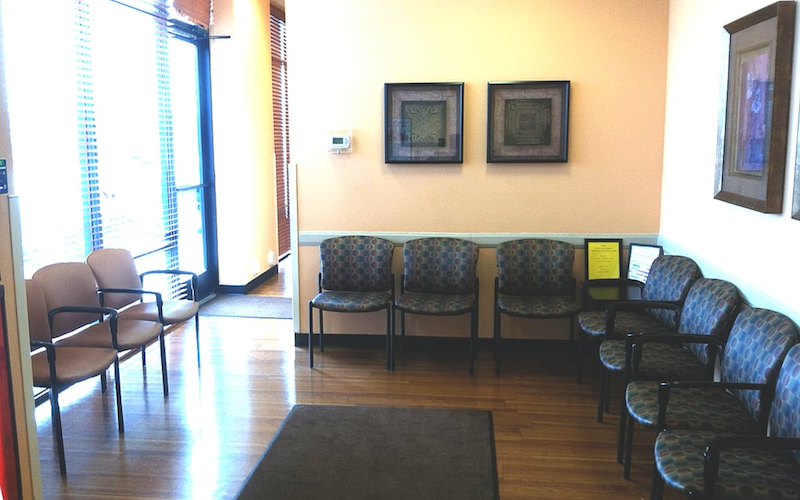 The receptionist, medical assistant and physician assistant were kind and knowledgeable. Within 45 minutes I was on my way to local pharmacy for an antibiotic. Thank you Nextcare and staff! Normally we have a really good experience. Today we waited an hour and half. The person at the front desk was not very friendly. The MA was friendly and nice. The provider was short with us. She acted like she did not want to help us. I felt we did not get the usual concerned and complete care. My visit was quick and the doctor was very efficient and friendly. A little long of a wait when finally put in an exam room. But the attending was very nice and informative. I will Be coming here from now on. They treated me very well, and helped with my needs immediately. As well as helped me prepare for possible future issues. 10/10. Joseph Gaddam PAC was absolutely phenomenal. I’ve never been treated with such care. I will recommend him highly to anyone requiring urgent care.